A little Snake game written in Racket. Made for Games Made Quick Jam 2019. 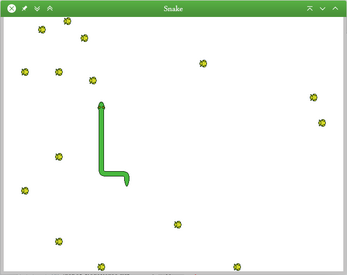 Use the keyboard arrows to change the direction of the snake and eat all the golden frogs to win the game. 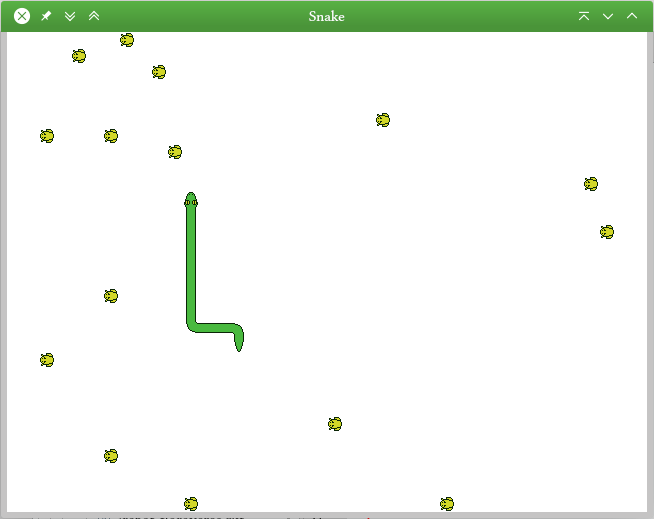 The game is lost if the snake gets out of the area or if it collides with itself. Note: You may have to click on the window for the keyboard inputs to be taken into account. Alternatively, open the file main.rkt with DrRacket (the IDE that come with Racket), and click on the "Execute" button.